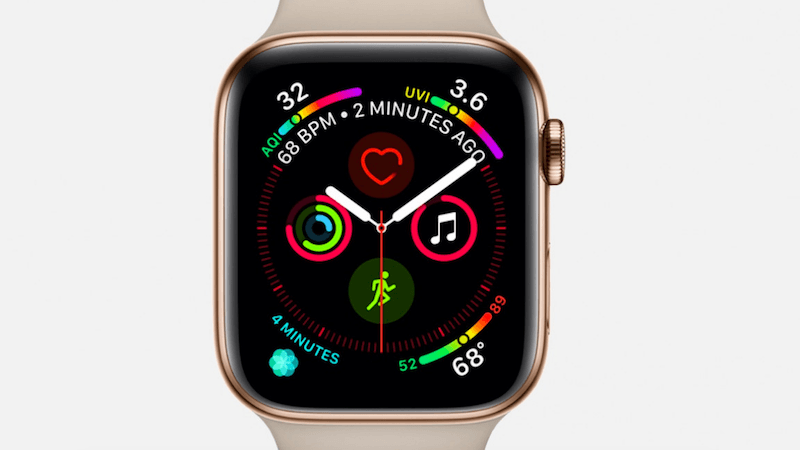 Apple Watch Series 4 will now help users in the US take an electrocardiogram (ECG) right from their wrist, capturing heart rhythm in a moment when they experience symptoms like a rapid or skipped a heartbeat and helping to provide critical data to physicians. “New electrodes in Apple Watch Series 4 now enable customers to take an ECG directly from the wrist,” Apple said in a statement on Thursday. “Starting today, the ECG app on Apple Watch Series 4 marks the first direct-to-consumer product that enables customers to take an electrocardiogram right from their wrist,” added the Cupertino-based tech giant. The irregular rhythm notification feature on Apple Watch can now occasionally check heart rhythms in the background and send a notification if an irregular heart rhythm that appears to be atrial fibrillation (AFib) is identified. When left untreated, AFib is one of the leading conditions that can result in stroke, the second most common cause of death around the world. “Apple Watch has helped so many people around the world and we are humbled that it has become such an important part of our customers’ lives,” said Jeff Williams, Apple’s Chief Operating Officer. This is how it works. To take an ECG recording at any time or following an irregular rhythm notification, open the new ECG app and hold your finger on the Digital Crown. As you touch the Digital Crown, the circuit is completed and electrical signals across their heart are measured. The ECG app’s ability to accurately classify an ECG recording into AFib and sinus rhythm was validated in a clinical trial of around 600 participants. The irregular rhythm notification feature was studied in the Apple Heart Study with over 400,000 participants, said Apple.